If we think at all about Our Lord’s temptation in the desert, we probably think that it came about by chance. We imagine Jesus in the desert, fasting and praying, minding His own business, when along comes the devil to tempt Him. In fact, both Matthew and Luke tell us clearly that Jesus went into the desert “to be tempted by the devil” (Mt 4:1; Lk 4:2). It was not happenstance or coincidence. His purpose for going into the desert was to be tempted. Which might strike us as odd, because we ought to avoid temptations. But the Redeemer seeks them out — to triumph over them on our behalf and so give us an example. He goes to be tempted, therefore, not for His own sake but for ours. Notice that His temptation immediately follows His baptism. These two events — separated in our minds by different Sundays or new chapter headings — are closely joined in the Gospels. In a sense, it is because of His baptism that He goes into the desert to be tempted. At His baptism Jesus identifies Himself with sinful humanity. In the desert He experiences the temptations of sinful humanity. He is tempted, as He was baptized, for our sake. He allows Himself to be tempted to give us an example. By His resistance He teaches us how to resist temptations. Again, this has everything to do with His baptism. Notice His childlike simplicity and obedience. He possesses complete confidence and trust in His Father. He has come directly from His baptism, where He heard the Father say of Him, “This is my beloved Son, with Whom I am well pleased” (Mt 3:17). Those words give us a sense of the trust granted to Our Lord’s human soul. In His confrontation with Satan, then, Jesus does not rely on His own strength or wisdom. He rests secure in the Father’s words at the Jordan. And not only at the Jordan. In response to each assault of the devil, Jesus quotes the words of Scripture with a childlike confidence in their power to save. He does not enter into a debate or a dialogue with the devil. He does not prove Himself smarter or more clever. He does not outwit or overwhelm the devil. His responses are amazingly childlike, as we might expect from a Man whose eternal Sonship was just revealed. Indeed, we might miss the power of His responses precisely because they lack any worldly sophistication or shrewdness. Their power lies in their simplicity. 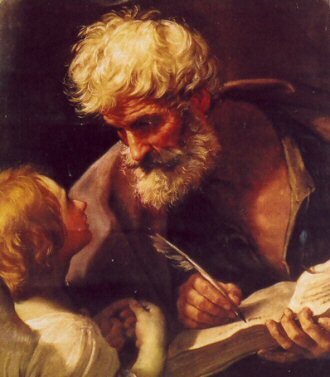 They speak of that childlike trust in and devotion to His Father: “One does not live on bread alone, but on every word that comes forth from the mouth of God. … You shall not put the Lord, your God, to the test. … The Lord, your God, shall you worship and him alone shall you serve” (Mt 4:4, 7, 10). How different we are. We think we can outwit or withstand the devil. We carelessly place ourselves in occasions of sin. Instead of dismissing sinful situations and/or suggestions immediately, we enter into that dangerous dialogue with the devil. We allow doubt to enter our minds about the word of God, parsing Scripture in a worldly manner and providing the evil one more and more room to maneuver. We consider ourselves either smart enough to figure out his temptations or strong enough to resist them. Sooner or later we learn that we are not quite as smart as old scratch, nor as persevering. Our Lord’s simplicity teaches us to trust less in our own virtues and more in our status as children of God. Consider again the connection between His baptism and His temptation. The Father’s love revealed at His baptism provided His human soul with the confidence to rest securely in His Father’s care and by that means to thwart the devil’s attacks. We have access to that same grace by way of our own baptism. Everything necessary to triumph over temptation was granted us at baptism. We need only stir up that same straightforward, disarming confidence in the Father’s love, allowing ourselves to be simple and childlike — and therefore victorious.